The quality, features and location you thought you couldnt afford in a condo at this price! A complete and total high-end remodel including Wedgewood soft-close cabinetry, quartz surfaces, S.S. appliances, designer lighting, contemporary electric fireplace/heater, and accent paint. A light and bright master and bathroom w/ custom glass shower, bowl sink and designer tile. Clothes washer /dryer, pantry and newer water heater. Private patio w/ storage closet. 2 HOA pools and tennis courts. An extraordinary find! Wonderful large 2nd floor condo w/ lots of light in a quiet location. Newer high quality SS frig and int paint. Large master w/ walk-in closet, 2 pantries and private storage closet on deck. Central A/C, private deck, gas fireplace, washer/dryer in-unit. Your pets are welcome! Great association w/ a perfect pool and sunbathing deck. 1 reserved parking space #17 and 1 addl permit available from HOA for onsite parking. 1 block to RTD Park-N-Ride and close to shopping, restaurants and East Boulder Rec Center. Plenty of light in this remodeled 2nd floor corner unit. Featuring new flooring in kitchen, dining, and living room. New appliances, new paint, and lighting throughout. Full sized laundry with new washer and dryer. Bathroom has been upgraded as well. Attached single car garage. This unit is move in ready and is close to schools and shopping, an easy commute from here. Property abuts Coal Creek Trail. You wont want to miss out on this opportunity. Showings start Monday Aug. 24th. Sold prior to listing and entered for comp purposes only. Parent of tenant stepped forward to purchase when notice was given to the tenants of the property going on the market. Unit is in average rental condition throughout. No upgrades or remodeling. Faces Colo. 7. No garage. Endless views abound from Carl Rohdes custom built Flatiron design. Walls of glass not only incorporate the views into every room, but also bring the surrounding 35 acres in as part of the living space. Multiple decks on each of the 3 levels provide the perfect opportunity for outdoor entertaining and relaxation. Gourmet kitchen with top of the line appliances. All the conveniences of modern living set in the most tranquil location. A gorgeous and easy 12 minute drive to Broadway and Lee Hill Rd. Rare downtown triplex close to the Pearl Street Mall. Outside entry for all the units and always rented. There is investment and growth potential here- zoned for 4 unrelated residents per unit. Recent impvmnts: all furnaces/H2O heaters, plumbing and electrical upgrades, vinyl windows, ext paint and structural refurbishing. 4 reserved parking spaces off alley. Possible addl rent from storage bldg. Coin op laundry owned. Strict overnight notice to show, limited to 1PM-4:30PM daily. One of a kind property offering unique qualities and quiet lifestyle on a carefully planned, densely wooded 1 acre lot modeled after a 1920s northern European estate. Features a gazebo w/ brick BBQ and smoker, separate 642 sqft artist studio w/ N facing light, 297 sqft canning room, constant temp subterranean store room ideal for wine and canned goods, large grape arbor, many fruit trees and bushes, large garden area, waterfall Koi pond feature and large chicken coop. All brick home was custom built to a commercial construction standard and quality. The bones of this home are impeccable. Fully fin lower level w/ separate entry, kitchenette, large sauna. While never significantly updated, no expense has been spared in its care and upkeep. Recent work including new roof w/ oversized 5#x201D; gutters, 1500 gal septic tank, boiler and water heater, exterior paint, garage door, and restructured deck. Lafayette domestic water and well for irrigation. Bring your remodeling/pop-top ideas. A very unique opportunity. One of a kind property offering unique qualities and lifestyle on a densely wooded 1 acre lot modeled after a 1920s northern European estate. 642sqft studio, 297sqft canning rm, subterranean store rm for wine, grapes, fruit trees and bushes, lrg garden, lrg chicken coop. All brick home custom built to a commercial standard. Fully fin lower level w/ sep entry, kitchenette, lrg sauna. Never updated but no expense spared. Lafayette water and well. Bring your remodeling/pop-top ideas. None other like it. Multiple offers received after the by the offer deadline- sellers no longer accepting offers. Magnificent back range views, privacy and quiet on this 1 acre property in a coveted neighborhood with no HOA. Very few areas of the county afford the qualities found here including close proximity to Open Space and riding trails. Original owners have lovingly cared for this 1967 home in largely original condition. Call agent for addl details. Offered AS-IS. Nestled in a tranquil S. facing alpine meadow on a 42-acre lot just 5.6 miles to Boulder is a superbly sited, exceptionally solid & energy efficient property. Protected on three sides by Boulder Mtn. Open Space w/ majestic vistas, this is a rare opportunity to live in a remarkably serene setting enveloped in the sounds of the alpine environment w/ no neighbors in sight. Solid construction. Move in or remodel & customize. A very rare & precious setting. Nestled in a tranquil S. facing alpine meadow on a 42-acre lot just 5.6 miles to Boulder is a superbly sited, exceptionally solid & energy efficient property. Protected on three sides by Boulder Mtn. Open Space w/ majestic vistas, this is a rare opportunity to live in a remarkably serene setting enveloped in the sounds of the alpine environment w/ no neighbors in sight. Solid construction. Move in or remodel & customize. A very rare & precious setting. See www.3555bison.com for matterport tour. This singular mountain home was conceived to take full advantage of truly exceptional vistas sweeping across the foothills to Boulder. 2 massive salvaged wood beams from the old Armour packing plant in the great and dining rooms, wall of windows. Mstr suite up w/ deck and lux bath. Family rm off an island kitchen, office, and ensuite bdrm on main. Walkout lower lvl w/ 2 ensuite bdrms and media rm. Lrg deck and lap pool. 3 car attached and 2 car detached garages. New: high quality carpet, septic tank and roof. Great location on the west side of The Hill. Top-to-bottom duplex w/ outside entry for the walk-out lower level. Zoned for 3 unrelated per unit. Currently under rented. Coin op laundry. Separate furnaces and water heaters. See Addl Docs for LBP Disc, rental license, leases, Smart Regs. 24 hour notice to show- 9AM-3:30PM. Gorgeous NEWwest home from Markel Homes offers open and well designed floor plan. Large inviting front porch and spacious back patio, too! Open and bright living, dining and kitchen areas featuring hardwood flooring, 10ft main level ceilings and solid surface counter tops! Vaulted master with 5pc bath with Kohler u/m sinks; quartz tops; Euro Glass shower. 2 more bedrooms and laundry room complete the upstairs. Many designer upgrades throughout! 3 car tandem garage. Beautiful 2 story home in the sought after neighborhood of The Summit. Just a short walk to Davidson Mesa and Harper Lake, this home offers views of Bear Peak from the kitchen table and upstairs bedrooms. Newly updated master bath, main floor bath, exterior paint (2016). New furnace and A/C (2013). Hail resistant roof (2005). Newer updated kitchen, hardwood floors, vinyl windows and more! Come see this warm and inviting home in the heart of Colorados most popular town. Spectacular, Better than new - Beautifully Updated Standard Pacific Home - Horizon Model. 5 Bdrms + Loft. Gourmet Kitchen Features Granite Countertops/Stainless Steel Appliances/Dbl Oven/5 Burner Gas Stove/Large Center Island w/ Seating, and Walk In Pantry. Open to the Kitchen, the Great Room Enjoys a Cozy Gas Fireplace and Spectacular Mountain Views. Main Level Also Includes a Formal Dining Room/Bedroom and Full Bath. The Master Bdrm Boast beautiful Mtn Views/His and Her Closets and 5 Piece Bath w/ His and Her Vanities. Two Additional Bdrms/Full Tiled Bath plus Loft and Laundry Room Complete the Upstairs Level. Professionally Finished Walk Out Basement Includes a Recreation Room/Exercise Room/5th Bdrm,/3/4 Bath and Storage Space. Outstanding Outdoor Living Space with Covered Patio, Gas Firepit. and Extended Covered Deck. Shows like a Model. All TVs and Mounts Included. Views from every room!!! Watch the sun rise over the city and set over the mountains from any of the decks around this amazing updated escape. Each bedroom has an en suite remodeled bathroom. The walk-out basement is the perfect space for a rec room, library, office, or workout room. The sun room is set up as an additional lounge area, and piped to be a greenhouse (spigot in the wall, floor drain). New carpet in basement, new exterior paint, new siding, and more! Fenced yard area for pets! Recently remodeled and immaculately maintained luxury home w/ back range views on a large cul-de-sac lot. All 3 levels of this award winning design flow together for an elegant and easy living style. An insightful renovation brings rich visual textures, mosaic tile, custom lighting fixtures and granite surfaces to the island kitchen and mstr bath. Stacked field stone fireplace. Mtn views from a lounging mstr and daylight/garden level w/ wine bar perfect for entertaining. 2nd mstr. An enchanting home. A wonderful location backing to private open space and very close to Waneka Lake Park. Extensive remodeling throughout incl: high-end kit, luxury mstr & 2nd bathrms & more. Very open floor plan. Newer oak floors on main level & high quality carpet in bdrms & bsmt. Expansive .25 acre lot. Bsmt w/ separate entry & efficiency kit, 4th bedrm, 2 baths, & large fam room wired for surround sound. New roof. Stamped concrete patio & large yard for entertaining. A rare combination of features & location! Temporarily with withdrawn from the market. Do not contact the seller. There is an active listing agreement in place. Immaculately kept original owner home in Ridglea Hills. Custom touches throughout, and ready for the next owner to update/remodel. Kitchen w/ Silestone counters. Views to the foothills and back range from the back yard and flatirons from the front. Fully finished basement w/ daylight 3rd bedroom, full bath, workshop w/ separate entry/walkout. Newer furnace and water heater. Stunning remodel boasts numerous updates: Bosch appliances, solid cherry cabinets, granite counter tops, custom back-splash, double-sided fireplace, Pennsylvania slate in entry and much more! Great location, walk to Rec Center, skate park, Harper Lake, trails, restaurants, coffee and shops! Finished basement with family room, office area and remodeled 3/4 bath. Convert office to 4th bedroom or guest quarters. Private backyard features deck, mature landscaping. Central AC. 2-car garage. Home situated on cul-de-sac. Theres no place like home! Stunning remodel boasts numerous updates: Bosch appliances, solid cherry cabinets, granite counter tops, custom back-splash, double-sided fireplace, Pennsylvania slate & much more! Great location, walk to Rec Center, skate park, Harper Lake, trails, restaurants, coffee & shops! Finished basement with family room, office area & remodeled 3/4 bath. Convert office to 4th bedroom. Backyard features deck, mature landscaping. Central AC. 2-car garage. Cul-de-sac. There's no place like home! Stunning remodel boasts numerous updates: Bosch appliances, solid cherry cabinets, granite counter tops, custom back-splash, double-sided fireplace, Pennsylvania slate and much more! Great location, walk to Rec Center, skate park, Harper Lake, trails, restaurants, coffee and shops! Finished basement with family room, office area and remodeled 3/4 bath. Convert office to 4th bedroom. Backyard features deck, mature landscaping. Central AC. 2-car garage. Cul-de-sac. Theres no place like home! One of a kind rebuild, 1/2 block from Roosevelt Park, easy walk downtown. Traffic stopping hand carved timber work, custom finishes throughout. You will want to live on the front porch. All the upgrades are here, granite counter tops, SS appliances, new everything from mechanical and electrical to windows and doors. Get the best of both old and new. Master has steam shower. Awesome 1200 SF heated shop or studio in the back. Fully landscaped, everything has been done for you. A charming, completely renovated and remodeled 1901 home in the sought after Highlands neighborhood. New plumbing, electrical, 95% eff furnace, roof and remodeled to a very high standard. Island kit w/ shaker cabs, granite, SS appliances, steam shower, exposed brick walls, red oak floors on main lvl, opened floor plan. House lives through the alley w/ a gated entrance to an ideal shaded back yard. 2 car detached garage w/ separate room for studio/shop. A singular property in a storied neighborhood! Old Town Louisville Main Street just a block away! This light and bright ranch home is cute as can be. 3 beds, 1 full bath (with room for another) In amazing shape, new paint, new stainless appliances, new roof. Wood floors & large windows. Quiet yard between the home and detached 2 car garage. Let the kids play in the yard or Memory Square Park just 2 blocks. Enjoy a drink at The Empire or Waterloo only a block away. Basement unfinished w/ laundry. Don't miss this great location and home! Located directly across from the Colo. Nat. Golf Club in a prestigious neighborhood of some of Vista Ridge's finest residences. Open living spaces & flex-use rooms in a modern interior layout w/ lofty ceilings, rare-wood flooring & defining design elements. Master suit offers opulent bath w/ granite, custom tiles & glass, designed to pamper. Redesigned custom kit w/ granite surfaces & large island w/ breakfast bar. Walk to 1st rate HOA amenities This recently refined home will not disappoint! Located directly across from the Colo. Nat. Golf Club in a prestigious neighborhood of some of Vista Ridge's finest residences. Open living spaces & flex-use rooms in a modern interior layout w/ lofty ceilings, rare-wood flooring & defining design elements. Master suite offers opulent bath w/ granite, custom tiles & glass, designed to pamper. Redesigned custom kit w/ granite surfaces & large island w/ brkfst bar. Walk to club & 1st rate HOA amenities. Will not disappoint! A remarkable price for a lovingly maintained home in coveted Gunbarrel Green. Add your touches to this wonderful property on a huge .28 acre lot w/ lovely landscaping and screened sunroom and private back yard. Newer master bath and kitchen appliances. All bedrooms on the same level w/ a study and formal dining on the main. Unfin bsmt for expansion. Corner lot affords a circle drive w/ side-loading garage. Wonderful schools and choice of high schools. Perhaps the best value per sqft in Gunbarrel Green! Uncommon property on a large .67 acre lot with many possible uses. Rambling brick ranch with a loft/office and later addition with 2 additional bedrooms, full bath and large family room. Was used for many years as a yoga center. Retain structure for single family home or income property, or demo and build new. Flood zoning will allow new structure to be built. According to the city it cannot be subdivided. New sewer line, new roof in last two years. Property needs TLC. Sold AS-IS. Temporarily withdrawn from the market. Active Listing Contract in place. Do not contact the sellers. This Quintessential historic cottage is imbued w/ the heart and soul of Old Town Louisville, sparkling w/ the attention of the 30-year owners. One-block from the center of town and restaurants and shops. Updates throughout bring the property into current times, including a high efficiency furnace, central A/C, new electric panel and concrete foundation. Verdant landscaped double lot w/ mature trees. Temporarily withdrawn from the market. Active Listing Contract in place. Do not contact the sellers. This Quintessential historic cottage is imbued w/ the heart & soul of Old Town Louisville, sparkling w/ the attention of the 30-year owners. One-block from the center of town & restaurants & shops. Updates throughout bring the property into current times, including a high efficiency furnace, central A/C, new electric panel & concrete foundation. Verdant landscaped double lot w/ mature trees. Just behind the first foothill very close to Boulder, this 1 acre property offers a peaceful mountain lifestyle w/ the convenience of natural gas and district water. Built in 1965, the home has never been remodeled but its care has been first class. New 90% efficient furnace, A/C and ext paint in 2014. Many windows have been replaced, and new 4 bed septic system is in process. Back-up generator. No propane or well to worry about. Large 2 car garage w/ shop. Livable now, and bring your remodeling ideas! Just behind the first foothill very close to Boulder, this 1 acre property offers a peaceful mountain lifestyle w/ the convenience of natural gas and district water. Built in 1965, the home has never been remodeled but its care has been first class. New 90%+ efficient furnace, A/C and ext paint in 2014. Many windows have been replaced, and new 4 bed septic system is in process. Back-up generator. No propane or well to worry about. Large 2 car garage w/ shop. Livable now, and bring your remodeling ideas! Live in this brand-new, modern 3-story townhouse in Downtown Superior! It's the largest of the Remington models. The townhouse has 3BD/4BA and has almost $50K in upgrades! 1st & 2nd floors feature 10’ ceilings & plank flooring. Main floor is the guest suite- complete w/ a bedroom & ¾ bath. Main floor access to attached 2-car garage. Second floor has open floor plan & includes living room, dining room, kitchen, ½ bath plus glass sliding doors to large, covered balcony overlooking a common courtyard. Kitchen features granite countertops, maple cabinets, pantry & black stainless steel appliances. Third floor is carpeted and features master suite, additional bedroom & full bath, laundry closet & storage! Master suite has 12' ceilings & walk-in closet. Rough-in plumbing for utility sink in laundry area, all high-end appliances included, tons of light flooding every room. You'll be walking distance from shopping & dining in the Downtown Superior planned community! Come and walk on the trails or fish on Thomas Reservoir, or simply relax in your perfect open floor ranch-style home in this new premier Erie neighborhood with parks, lake, trails and open space. Also within minutes of I-25, Boulder, and nearby dining, shopping and Rec Center. You will love the open main floor living, with a kitchen built for entertaining that opens into the great room and dining room. This ranch-style patio home has zero step entry, wider hallways and doors and includes quartz kitchen countertops and tile backsplash. This home has an extended back deck for the wonderful Colorado outdoor living. This home has also been professional appointed by our design team with beautiful features as hardwood flooring, tile fire surround, and upgraded kitchen cabinets. This low-maintenance #x201C;easyHouse#x201D; floor plan allows you to leave the chores behind and fun ahead! Come and walk on the trails or fish on Thomas Reservoir, or simply relax in your perfect open floor ranch-style home. You will love the open main floor living, with a kitchen built for entertaining that opens into the great room and dining room. This ranch-style patio home has zero step entry, wider hallways and doors and includes quartz kitchen countertops and tile backsplash. This low-maintenance easyHouse floor plan allows you to leave the chores behind and fun ahead! A beautiful & extensively remodeled home in a quiet location close to Waneka Lake Park. Every element has been touched incl. kit w/ maple cabs, quartz counters & SS appliances, baths w/ custom tile, oak floors on main,no popcorn ceilings, & more. Refin. decks & beautiful back yard. Newer: furnace & A/C, 200 Amp service, roof, ext. paint & vinyl windows. Insulated & heated garage & gear storage/workshop. 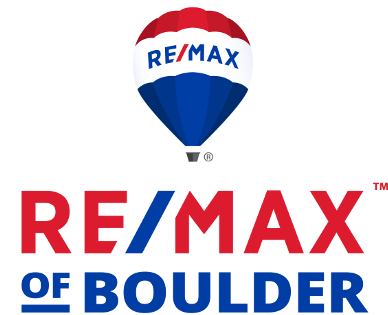 Just move in & enjoy life in one of the most attractive communities on the Front Range. Sought after Quail Crossing Neighborhood. Immaculate 4 bedroom, 3.5 bath gem. Fully integrated Smart Home powered by Next Light Gigabyte internet service. Surround sound in family room & master bedroom. Entertain in jaw dropping kitchen remodeled 2017. Granite counters, stainless backsplash, stainless appliances, 5 burner gas range w/ pot filler & double ovens. Out back has a gorgeous flagstone patio with gas line in place to do some BBQing, relax in your private hot tub among mature aspen trees! Fully fenced backyard w/ shed on side so that your insulated and heated three car garage will never be cluttered. Home boasts formal living and dining room, office, family room, kitchen, laundry room, and half bath on main floor. Upstairs are four bedrooms, two with their own bathrooms and two share a Jack and Jill. Huge basement ready for you to finish if desired with your own touches. Come see this amazing home before it’s too late!! No showings until Sunday 29th 1pm. One of the largest models in desirable Arrowhead with 4 bedrooms on the same level and a 3-car garage. Completely remodeled kitchen with granite and butcher block counters, real oak floors in the main level with formal dining, study and 1/2 bath. Master suite with vaulted ceilings and 5-piece bath. Fully finished partial basement with a 5th bedroom and 3/4 bath, theater room and space for exercise equipment. Available for quick close. Tenant occupied, please forgive the inside condition! One of the largest models in desirable Arrowhead w/ 4 bedrooms on the same level & a 3-car garage. Completely remodeled kitchen w/ granite & butcher block counters, real oak floors in the main level w/ formal dining, study & 1/2 bath. Master suite w/ vaulted ceilings & 5-piece bath. Fully finished partial basement w/ a 5th bedroom & 3/4 bath, theater room & space for exercise equipment. Available for quick close. Tenant occupied, please forgive the inside condition! Nearly new Meritage green built home w/ 64 HERS rating! See Documents. Lots of upgrades throughout. Island kitchen w/ quartz surfaces, 42 cabs, Energy Star SS appliances, cookbook nook, open to family rm. Optional large loft and 4th bedrm w/ full bath, 2nd and 3rd beds w/Jack and Jill bath, lux mstr suite. Spray foam insulation, 2X6 framing, 92% eff furnace, low E2 argon gas windows, Cemplank siding, low VOC paint, and more. Full basement w/ high finished ceiling. Seller head-hunted to new job in GA.
Home is nestled among lots of trees and backs to community open area/walkway. Perfect location within community for easy access to all that the subdivision has to offer. Close to schools, trails, clubhouse, pool, play area,parks even close to shopping and coffee shops! Lush yard,large deck,newer roof,freshly painted inside and out, newer carpet and hardwood floors. Great light and open floor plan. It is move in ready and will not last so HURRY! Charming home in Old Town Lafayette * Lots of personality from the time you enter the front door to the back yard * Wood floors enhance the home * Exposed wood beams are from the Lafayette mines * Spacious floor plan with 2 bedrooms & 2 full baths on the main floor * Main floor laundry * Basement has a finished room that could be used for crafts, etc. * Oversized detached garage with a workshop area * Great backyard for relaxing * New roof to be installed * Awesome location to Old Town! Here's a 2450 sqft, 2-story home on a large corner lot close to Waneka Lake Park. This home is in original but well cared for condition. Kitchen is open to family rm w/ a gas fireplace. Main level includes formal living & dining rooms & 1/2 bath. 3 bedrooms up w/ a 3/4 bath in the mstr suite. Fin bsmt w/ 2 bedrooms, gear storage room & rough 1/2 bath that can be finished into a full or 3/4. lrg covered deck. RV parking pad. Priced for the original condition & ready for updating. Sold AS-IS. Ranch Town-Home in a great location, one of the largest Ranch Town-Homes in the area. Flexible floorplan, the 2nd main floor bedroom can be used as an extension of the living room for additional TV/Sitting RM or an Office or bedroom. Current sellers have loved the community & the quiet pool area. Parks, Trails & Golf Course all short walking distance away. Community has easy access to HWY 36 for easy access to Boulder & Denver. Shopping, Grocery Store, Restaurants & Movie Theater near by. Great Rec Center 5 min away. Ranch Town-Home in a great location, one of the largest Ranch Town-Homes in the area. Flexible floorplan, 2nd bedroom can be used as an extension of the living room for additional TV/Sitting RM or an Office. Current sellers have loved the community & the quiet pool area. Parks, Trails & Golf Course all short walking distance away. Community has easy access to HWY 36 for easy access to Boulder & Denver. Shopping, Grocery Store, Restaurants & Movie Theater near by. Great Rec Center 5 min away. Exceptionally well located property with panoramic views in Hygiene for development of a single family home. Backs to Pella Pond Open Space. Zoned AG. Deeded water rights for the Denio-Taylor/Mill Creek ditch. Access easement in place. Call agent for many additional details. See photos for plat maps and location. Agent must be present for showings. Please Do Not drive down the drive where the sign is located. Access to this property is through an easement across 7920 Hygiene Rd. Sold prior to listing. Excellent condition throughout but never remodeled. Original kitchen and bathrooms. Most windows have been replaced and the roof was new in 2011. Very good interior and exterior paint. Landscaping is mature and well-tended. Quite location close to Waneka Lake Park. No effects from the Sept 2013 storms. Over all, a very well-kept property by a long-time owner. A great opportunity to be in a great location in Centaur Village North close to Waneka Lake Park on a cul-de-sac. This well cared for home backs to a pedestrian path to the park with a very large south facing expanded Trex deck. Features a walkout lower level with one year old roof, new exterior paint, new lower level interior paint, newer furnace and garage door, and a large storage building on a concrete pad. Bring your imagination for updates. Easy to show! Great investment opportunity. 1214 side is newly remodeled, includes kitchen, baths, carpet, vinyl & paint. Roof, exterior paint & garage doors new in 2017. In-unit laundry. Walk-out from master bedrooms to large back yards. 1-car garage for each unit. Wood burning fire places w/ wood stove insert in #1216. 11 year tenant in 1216 & under rented. Rent could be $1450 with approx. $6k improvements for carpet, paint & refinishing the tub. Easy to show 1214. Great investment opportunity. 1214 side is newly remodeled, includes kitchen, baths, carpet, vinyl & paint. Roof, exterior paint & garage doors new in 2017. In-unit laundry. Walk-out from master bedrooms to large back yards. 1-car garage for each unit. Wood burning fire places w/ wood stove insert in #1216. 11 year tenant in 1216 & under rented. Rent could be $1450 with approx. $6k improvements for carpet, paint & refinishing the tub. Newly remodeled, energy efficient home w/ green built features close to Waneka Lake. This engineer owned home is filled w/ top quality work and energy features. Remodeled kitchen and baths, new quality carpet, light fixtures, int. paint, ext. painted w/ roller, triple pane windows, 90%+ high efficient furnace, 4200W photo-voltaic system-owned, and new evap cooler. Split level w/ walkout lower level w/ family room and 4th bedroom /study and a workshop/studio. An exceptional home in a sought after area! Newly remodeled, energy efficient home w/ green built features close to Waneka Lake. This engineer owned home is filled w/ top quality work and energy features. Remodeled kitchen and baths, new quality carpet, light fixtures, int. paint, ext. painted w/ roller, triple pane windows, 90% high efficient furnace, 4200W photo-voltaic system-owned, and new evap cooler. Split level w/ walkout lower level w/ family room and 4th bedroom /study and a workshop/studio. An exceptional home in a sought after area! Here's a delightful home w/ a large back yard, updated inside w/ the added attraction of a large glassed-in heated sunroom. The main level floors are all beautiful hickory wood accenting a remodeled kitchen open to the dining & sun rooms. The bsmt is newly remodeled w/ new carpet, paint & 3/4 bath. The roof is just 22 months old, & all the windows have been replaced w/ quality vinyl units. There's storage space for your gear & a laundry room w/ utility sink. Large deck w/ pergola & garden too. Heres a delightful home with a large back yard, updated inside with the added attraction of a large glassed-in heated sunroom. The main level floors are all beautiful hickory wood accenting a remodeled kitchen open to the dining and sun rooms. The basement is newly remodeled with new carpet, paint and 3/4 bath. The roof is just 22 months old, and all the windows have been replaced with quality vinyl units. Theres storage space for your gear and a laundry room with utility sink. Large deck with pergola and garden too. Heres a delightful home w/ a large back yard, updated inside w/ the added attraction of a large glassed-in heated sunroom. The main level floors are all beautiful hickory wood accenting a remodeled kitchen open to the dining and sun rooms. The bsmt is newly remodeled w/ new carpet, paint and 3/4 bath. The roof is just 22 months old, and all the windows have been replaced w/ quality vinyl units. Theres storage space for your gear and a laundry room w/ utility sink. Large deck w/ pergola and garden too. BRAND NEW HOME WITH 2-10 LIMITED WARRANTY! PERFECT 2-STORY HOME WITH GOURMET KITCHEN. QUARTZ COUNTERS IN KITCHEN, STAINLESS APPLIANCES INCLUDING MICRO, FRIDGE and DBL OVENS! BEAUTIFUL MAPLE CABINETS THROUGHOUT, EXTENDED ENGINEERED HARDWOODS ON MAIN LEVEL. EXPANDED GREAT ROOM, 2ND STORY LAUNDRY, UPGRADED CARPET and PAD, AC and MORE! ONE OF THE LAST IN SUNWEST NORTH. WONT LAST LONG. PHOTOS ARE REPRESENTATIVE-NOT OF ACTUAL HOME.